We are pleased to announce the addition of Dr. Andrew Frerich to the Marshall Dental Excellence team. 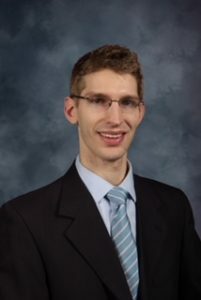 Dr. Andrew is the son of Dr. John Frerich, he is a graduate of Marshall High School and Northwestern University. He graduated from the University of Minnesota School of Dentistry and has been practicing dentistry in Buffalo, Minnesota for the past three years. Andrew and his wife, Kate, also a Marshall Native, and their two children Nora and Henry, are excited to make Marshall their home. Dr. Andrew looks forward to providing the highest quality dentistry for the patients of Marshall Dental Excellence.